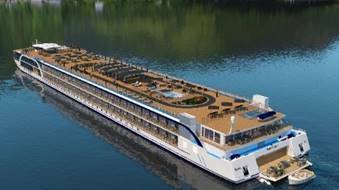 AmaWaterways has announced the addition of a new ‘Renewal of Vows’ package on board its newest ship, AmaMagna, which will debut in May 2019. A special, custom-made dessert by the onboard chef. The Renewal of Vows package is CA$599 per couple and available on all AmaMagna sailings along the Danube between Vilshofen and Budapest.